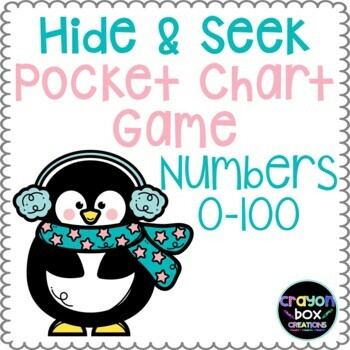 With the chilly weather setting in, what better way to practice number recognition than with this Penguin Pocket Chart Game! This activity is great in large group, as center work, or as a buddy activity. One student gets to hide the penguins behind the igloos. 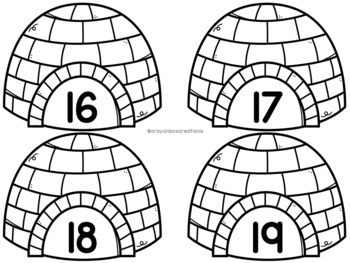 Then the other students take turns guessing which numbered igloo the penguins are hiding behind! This game can be customized for your students!!! Do they only need to practice 0-10? Just use those igloos and 1 penguin to hide. You can work on numbers 0-10, teens, or tens up to 50! 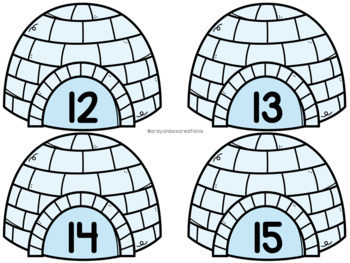 This product includes igloos 0-50 along with 4 different penguins to hide. Looking for some other versions of this game?! Do your students need letter naming practice? Don't forget to to leave feedback on paid products to earn tpt credit towards your next purchases!